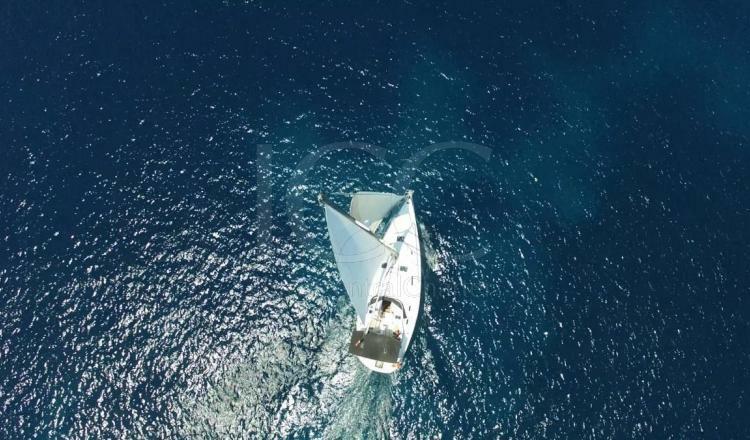 The Beneteau Oceanis 383 is really incredible, built by one of the reference shipyards for sailing world lovers, offers te possibility to sail across Pitiusas islands. 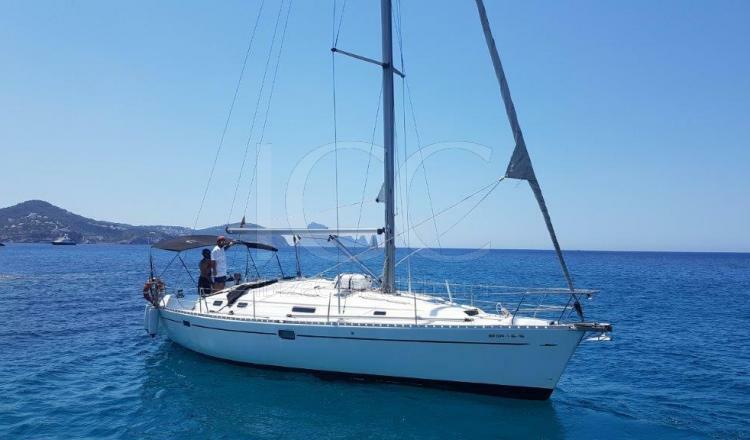 This magnificent sailboat has 11.50 meters of length and 4 meters of beam that give it a great skill in the interior and it becomes one of the ideal boats to enjoy a holiday by the Mediterranean Sea in the company of friends or family. 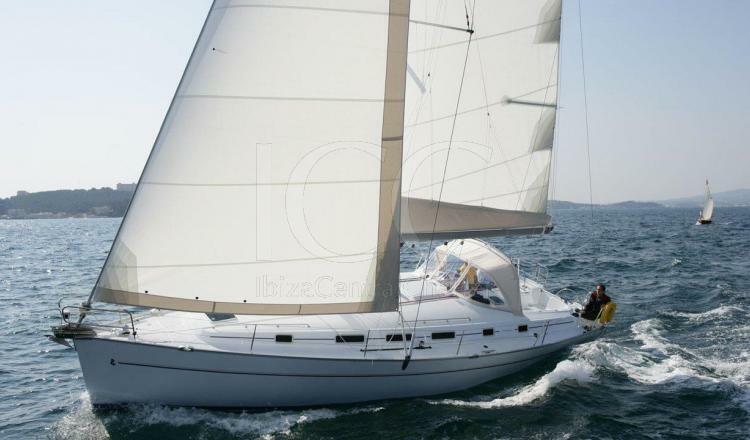 Inside it has three very bright double cabins, two located aft and a main cabin in the bow. The forward cabin is equipped with a private bathroom with access from inside the cabin. The living room has a full kitchen and a dining room with a newly upholstered sofa convertible into a single bed where the boss will sleep. In addition to a fully equipped bathroom with access from the lounge. 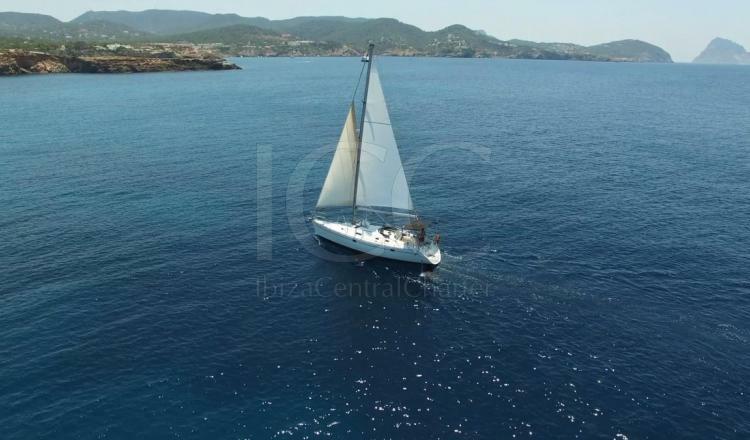 Its interior is equipped with all the necessary comforts, offering capacity for a group of up to 11 people to enjoy in total comfort on board during the day and 6 people with overnight. 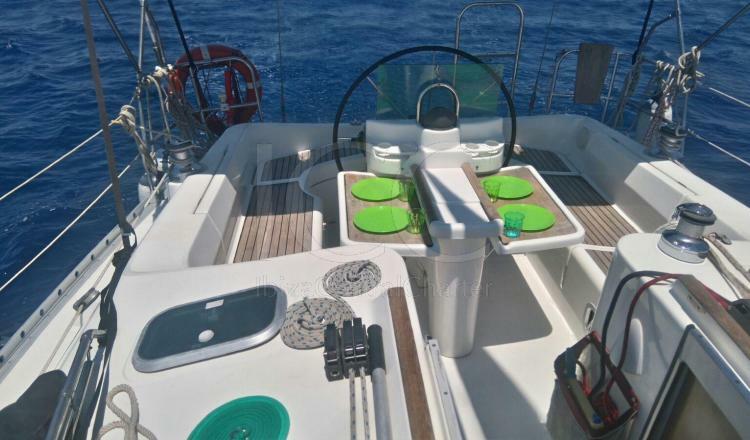 This boat has a bathtub with a large outdoor living space, ideal to enjoy a day of sun and beach. 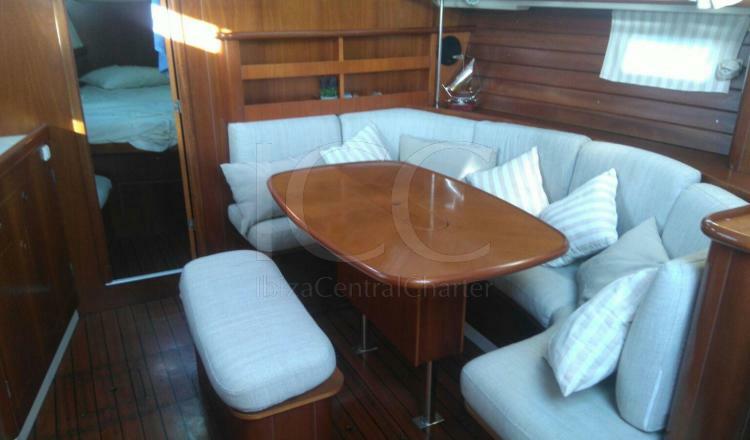 All outdoor areas and the cockpit are covered in teak wood to prevent reevaluation and increase safety on board. In the aft area we can enjoy an outdoor lunch or dinner in the comfortable seats and pre-table, also is equipped with an awning for the hottest days and anti-spray hood. The open bathtub facilitates water bath thanks to its hydraulic teak platform. 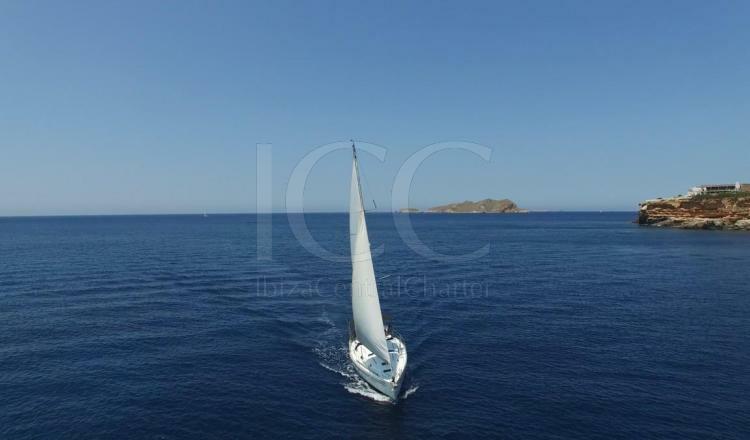 Its refit in 2016 equipped it with all the news you can imagine, making this sailboat a home where you can enjoy an unforgettable vacation. - Weekly rent: Saturday to Friday. 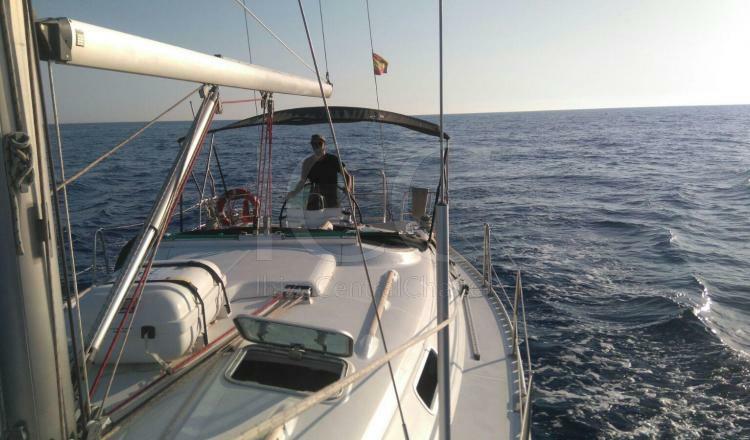 - Check out: 9:00pm at Bahía de Porroig.